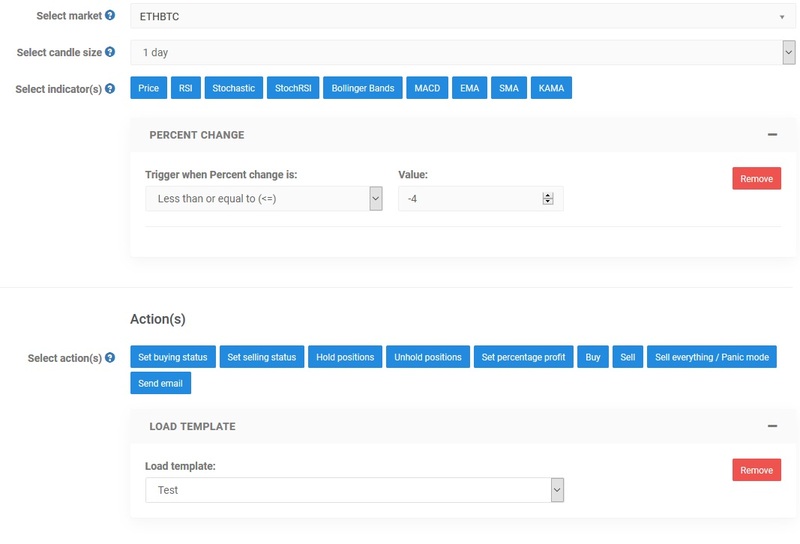 Private templates allow you to load a template of your choosing on demand and make it trigger dependent. Navigate to your Configuration tab, notice that there is a new set of buttons there! 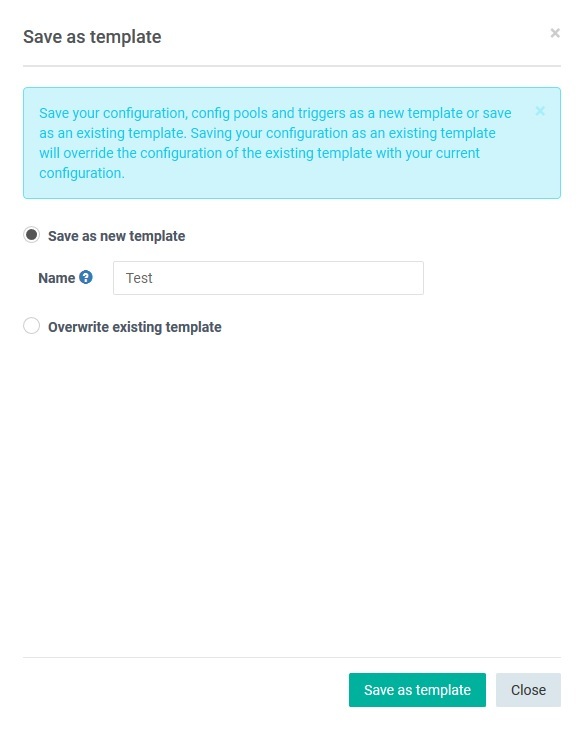 Saving your template will cause the hopper to make the current configuration into a custom template. When you save your template, a prompt will open which lets you either overwrite an existing template or save your current config as a new one, which you can name afterwards. Once your template is up and running you could create a seprate one to suit your needs and make a trigger to switch between them. In this example the template "test" will be loaded once ETHBTC drops 4% or even more in a 1 day candle.